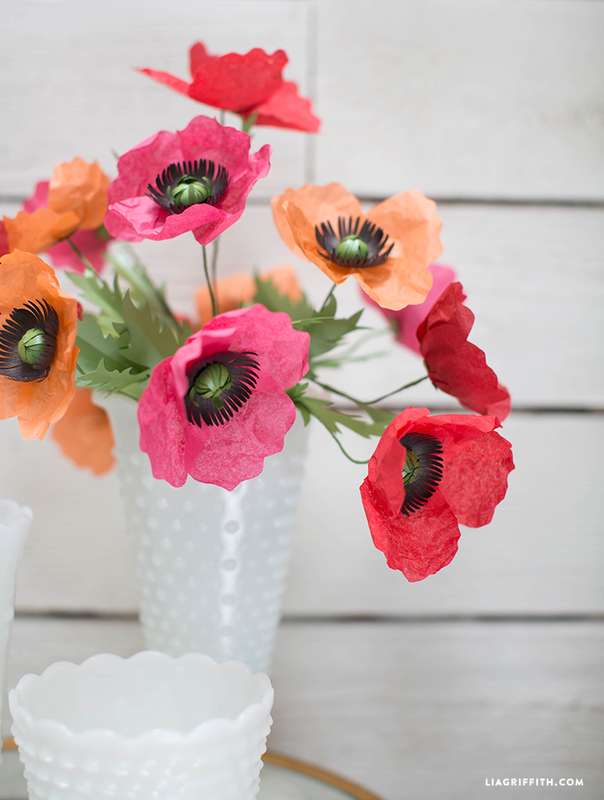 Easy To Follow Tissue Paper Poppy Tutorial! 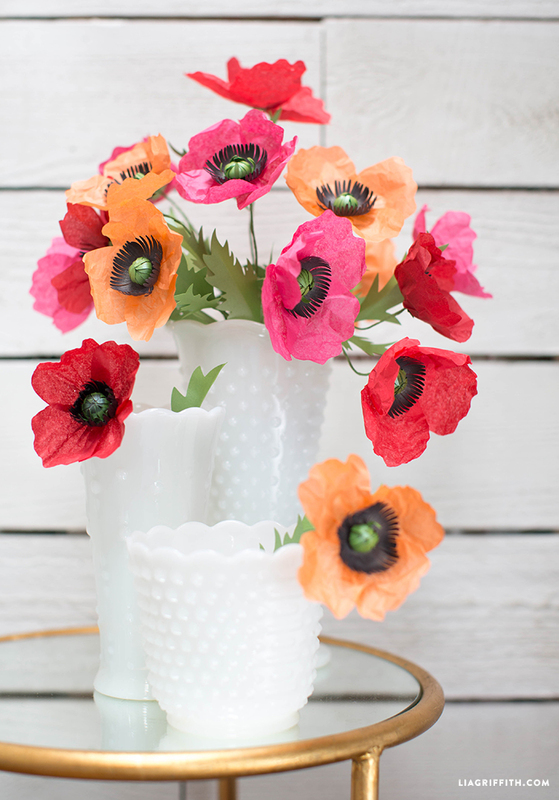 Time for a fresh tissue Paper poppy tutorial! 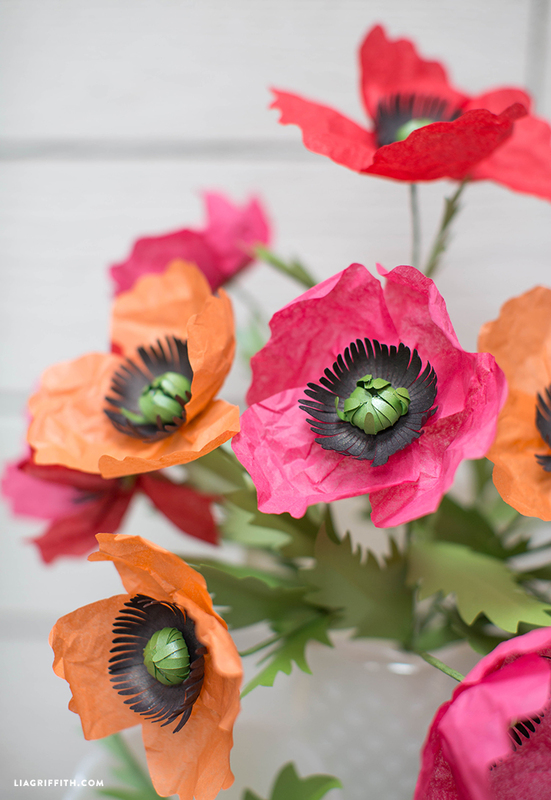 I have designed a few different paper poppies in the last few years, an orange watercolor version printed onto text weight paper and another using bleached tissue paper. Both are quite lovely but this is the first version where I have mixed tissue paper for the petals with metallic text weight paper for the centers and leaves. For this flower it’s actually a match made in heaven. 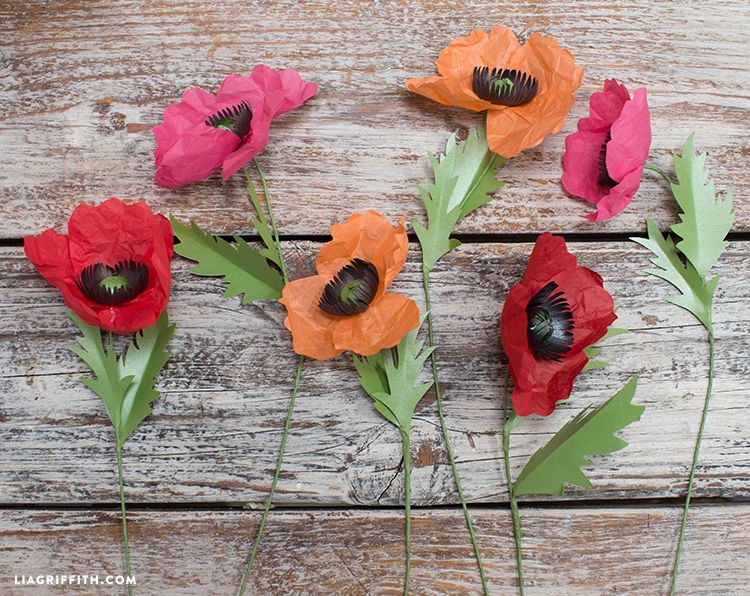 The red tissue paper crinkles just enough to create a delicate petal that is true to the qualities found in a real poppy. And the gentle shimmer that reflects from the metallic center is just so pretty. 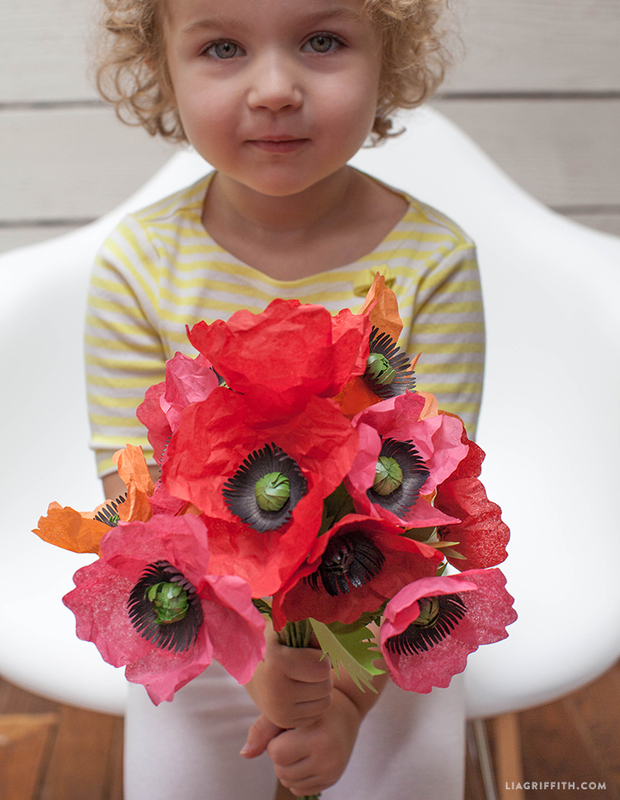 These tissue paper poppies would make a great “forever” wedding flower, and would look fab in a bouquet for a friend. You can switch up the colors to make something that suits your taste and create a beautiful paper flower bouquet that would last you a lifetime! Of course one paper flower would be a perfect gift topper or a surprise for a friend. You can find the patterns in both PDF and the SVG cutting machine files. If you are not a member yet, head over here to discover the benefits that you are missing out on! 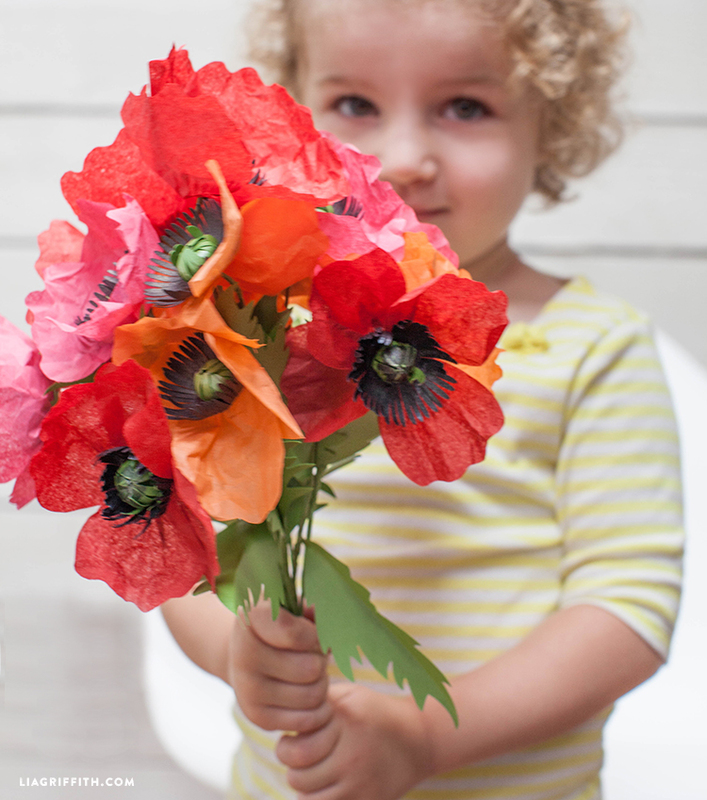 Once you’ev downloaded our pattern you can follow the tissue paper poppy tutorial below. For my version, I hand cut the tissue petals (as it is too light for the cutting machine) and cut the green and black text weight metallic paper with my Cricut Explore cutting machine. Of course you can make them the best way for your own creative process. WHAT ARE LEAVES MADE OUT OF? These flowers look awesome!! May I ask, the black center is made of tissue paper too? Thank you for sharing, will cut them by hand, hope they will look as pretty as yours!!! Thank you! The black and green centers are cut from frosted text weight paper. Gorgeous and SVG thank you. Thank you for the details in the directions. The delight (not the devil) is in the details!